If I had a shop, it would be like this. 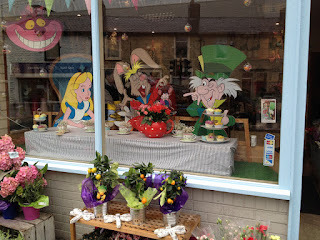 There is a florist in Blackburn that has the most wonderful window displays. It is on a busy road with no parking, so although I have admired it, I have never stopped there. One rainy day, I thought we can take a trip there especially and I wasn't disappointed. 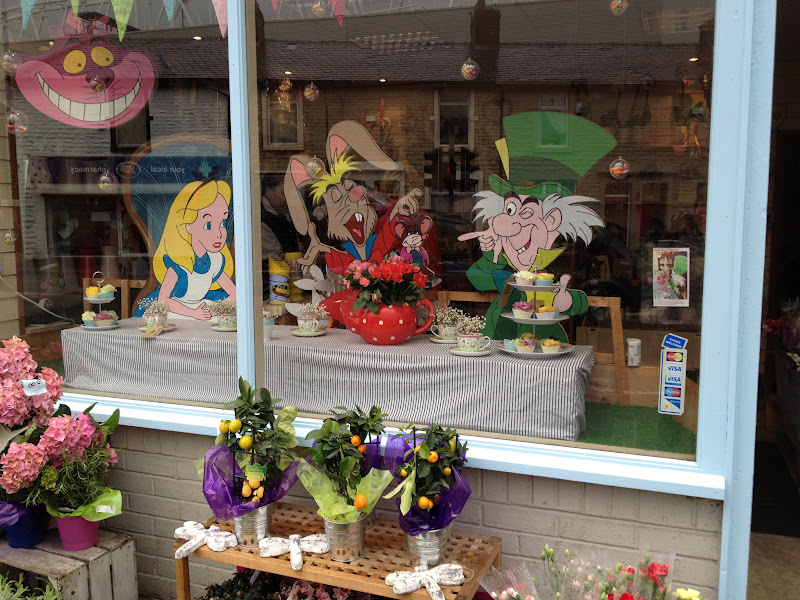 At the moment they have an Alice in Wonderland theme. They sold all kinds of lovely stuff, like colourful spotty bunting and mason jars filled with a mixture of gypsophila and daisies. Sadly. because of our new austerity measures budget, I settled for a bunch of flowers for mum who hasn't been so well. 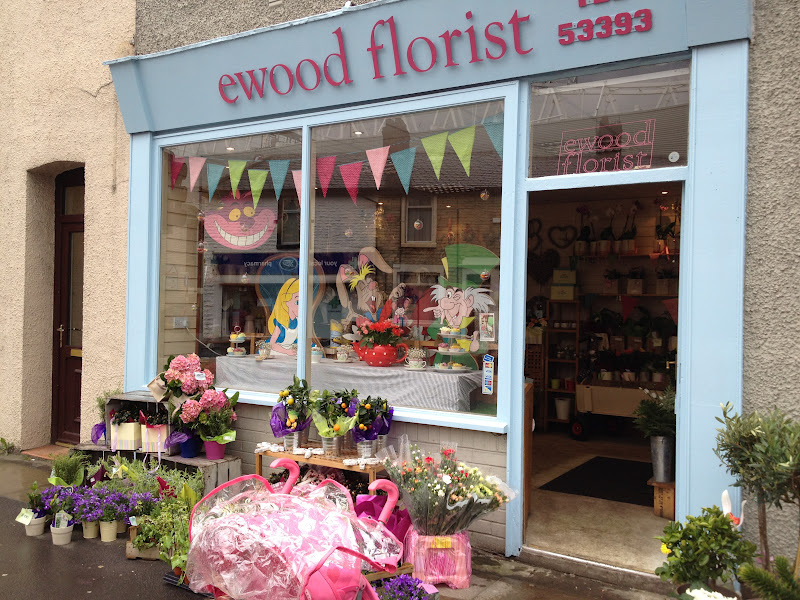 Freya loved the whole experience of telling the florist exactly which flowers she wanted... all purple of course, including a stunning lilac coloured rose. 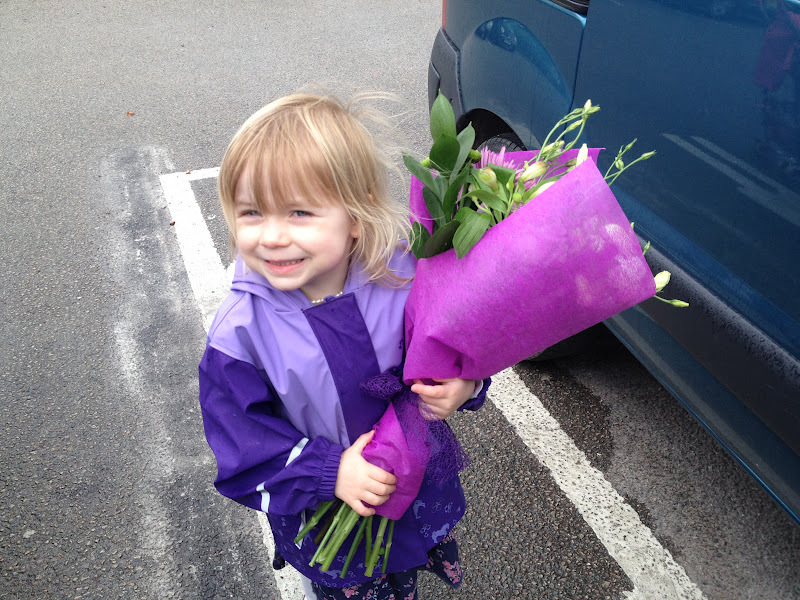 Freya carefully carried them back to the car and although she had been briefed that this was nanny's bunch of flowers, the tears started, big rollers. She sat quietly weeping in the back seat all the way home. She reminded me of the Hippo from my childhood. and his heart is beating fast. What lovely gift is here? He cuts the string. The world stands still. A pair of boots appear! the sorrows of the small! from the mouth of beast or bird. Mum read that poem to me and my sister and it can still bring a tear to our eyes thirty years on, scarred for life mother. Anyway, I consoled Freya with the idea that nanny might let her take one flower home to put in her own jar... which of course she did!